Commercial and domestic electrical projects from small business to new private construction. CAPA Electrical is Perth, West Australian company providing a complete solution to electrical needs across all metropolitan areas. Our fully licensed electricians are equipped with the skills to provide electrical services of the highest quality. We pride ourselves on professionalism and our ability to provide a high standard of personalised services that will meet your specific electrical requirements. CAPA Electrical, can install a single power point, or arrange and complete entire wiring of a new house. CAPA Electrical will cater to all your needs in residential, commercial and industrial fields. We specialise in lighting for residential fit ours, shop fit outs, building maintenance and refurbishments. Whether you're opening a new business or remodelling your building, we can complete any of your electrical jobs with the highest quality of work, great value and on-time. Perth electrical contractor and service provider specialising in new homes electrical wiring and installations. 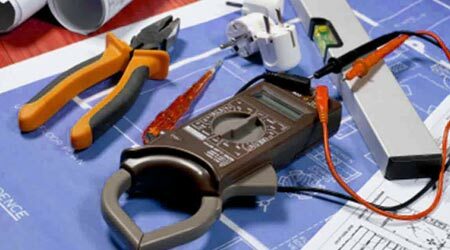 We are an innovative and cost effective electrical contractor servicing metropolitan Perth and surrounding suburbs. Distributors of an extensive range of quality products for domestic installations including electronic home systems & home office systems. Power Points, Switches, Junction Boxes, Mounting Blocks, Surface Sockets, GPO's, Plaster Brackets, Dimmers and more.